Identify an appropriate staff member to serve as university coordinator and liaison with the EDHE project manager, Mr Linda Dhladhla, copied in this email. Communicate name and contact details of the university coordinator to the EDHE project manager by 1 April 2019. All participating university coordinators are to participate in a virtual briefing meeting with the EDHE project manager and Director: Entrepreneurship in the first week of April (exact date to be confirmed). Interested students may enter the Entrepreneurship Intervarsity online any time as from 19 March 2019, using the link on the following website: www.edhe.co.za. 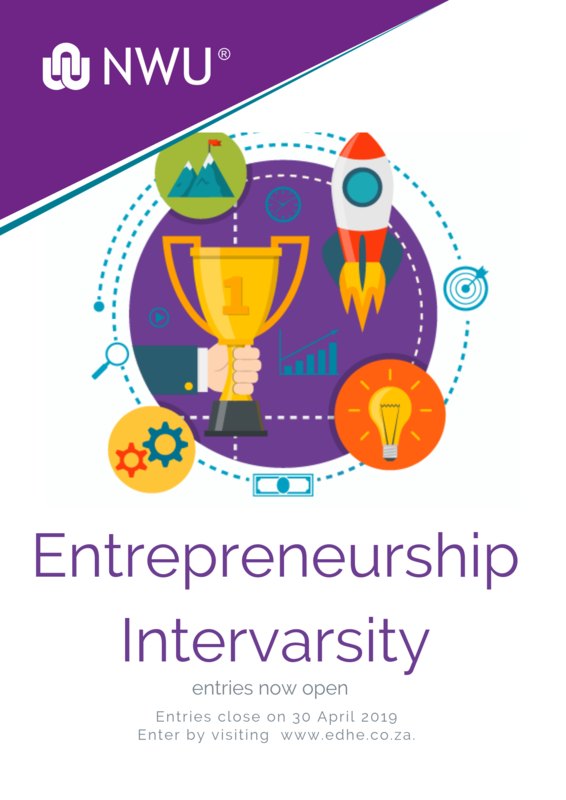 Entries to the Entrepreneurship Intervarsity close on 18 April 2019.